A small but enthusiastic crowd showed up at Toby’s Feed Barn Saturday evening for a 29th annual benefit dance that will help pay for 50 handicapped children to go on a camping trip. The trip will include rafting on Rogue River in southern Oregon. 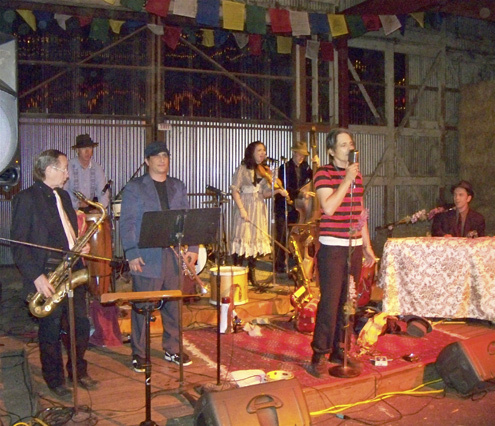 Playing for the event was West Marin’s acclaimed band Radio Fantastique featuring Giovanni De Morenti as lead singer. The virtuoso group has played nationwide, and I’m amazed it’s still available for local gigs. As for dancing, at least when I was there, most of those who took the dance floor were small children. 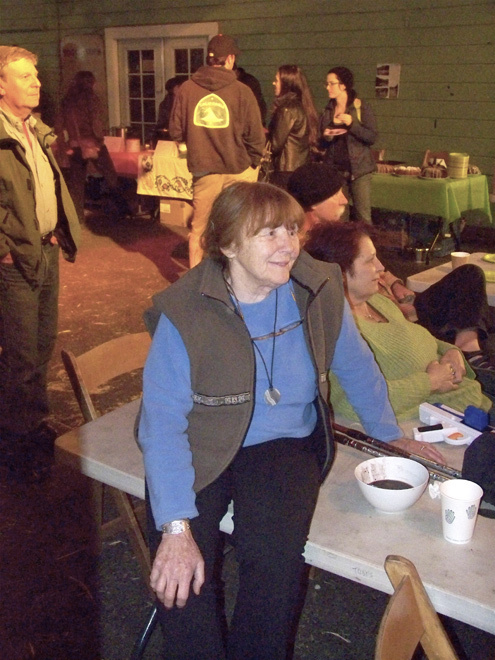 Organizing the event was Joyce Goldfield of Inverness Park, who for 20 years headed Halleck Creek Riding Club, which takes disabled children and adults on horseback rides in Nicasio. 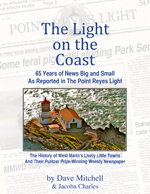 She stepped down as the nonprofit’s coordinator in 1997 at the age of 60. 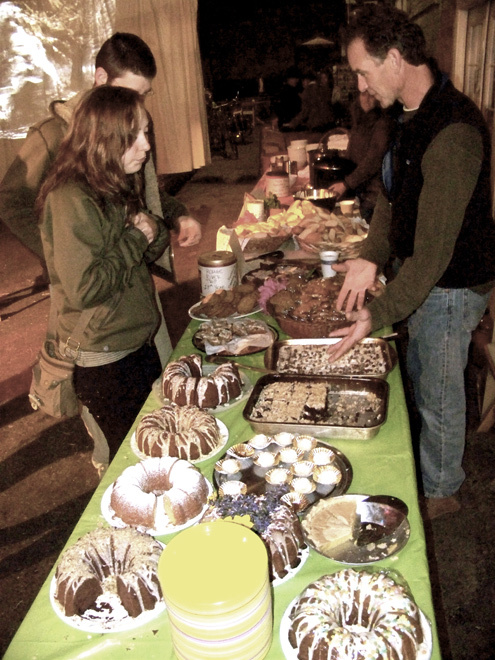 Soup and an abundance of baked goods fed Saturday evening’s crowd, with enough delicacies left over to have saved the Donner Party. Sparsely Sage and Timely is powered by	WordPress 4.9.10 and delivered to you in 0.594 seconds using 52 queries.